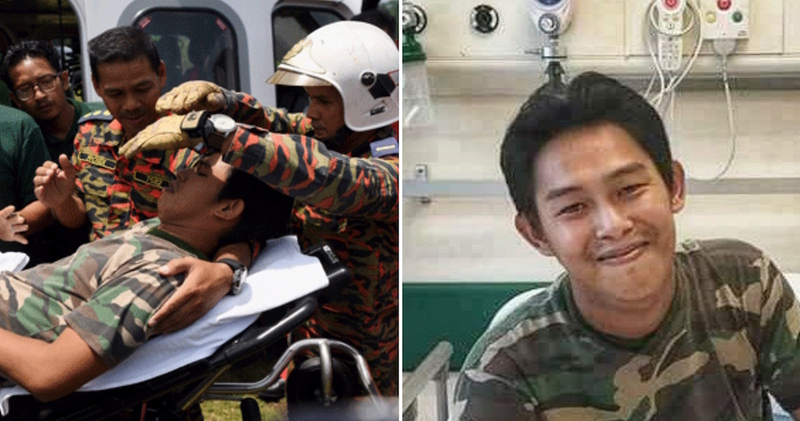 We can’t imagine how terrifying it is to be stranded out at sea all alone, but this 19-year-old Indonesian actually experienced it and survived! 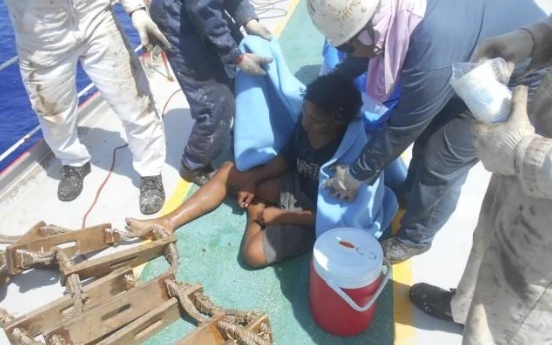 Earlier in July 2018, Aldi Novel Adilangi was carrying out his job as a lamp keeper on a floating fish trap (known as a rompong) while 125km at sea off the coast of North Sulawesi, according to The Guardian. He was in the midst of lighting lamps, which were designed to lure fish to be captured. 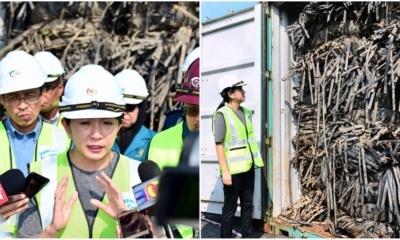 The rompong Aldi was working on is usually tied to the seabed by ropes and suspended by buoys to ensure that it doesn’t float away. However, the strong mid-July winds caused the ropes to snap, sending Aldi out into the Pacific Ocean with only a few days worth of supplies on his tiny boat which did not even have a paddle or engine. While out at sea, Aldi wasn’t sure if anyone would rescue him, as 10 passing ships failed to spot him. Just when things were looking bleak for him, on 31st August, Aldi spotted a nearby tanker and caught the captain’s attention when he switched his radio to an emergency frequency. 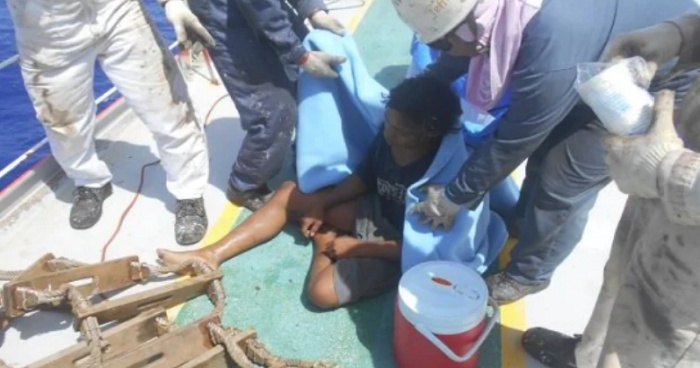 The crew of the tanker managed to pull him on-board, saving him from the harsh waves. 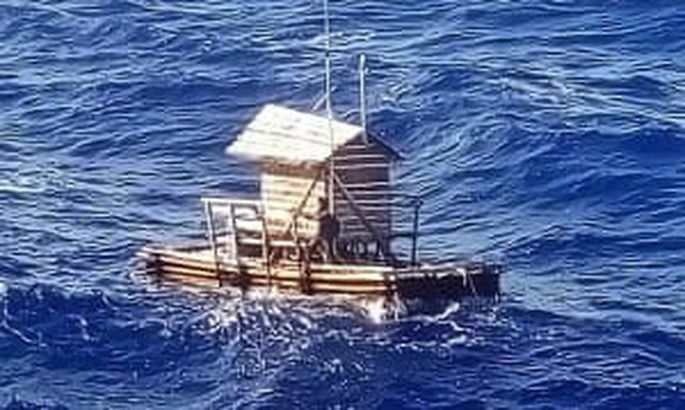 The tank that rescued Aldi was reportedly sailing under a Panama flag, and he was actually rescued near the tiny American territory of Guam, which is about 3,100km away from Sulawesi. He was then sent to Japan where he could be helped by the Indonesian embassy and was soon reunited with his family earlier in September. We’re so glad Aldi made it out alive!